please keep in mind I am not a doctor, manicurist, butcher, baker, or candlestick maker. I'm simply an amature who has faced these issues in the past and is trying to share what worked for her. Try anything I recommend at your own risk. One of the things I'm asked over and over again is "how do you keep your cuticles so nice?!" After I'm done being flattered (and trust me, I am! I struggled for years as a picker and nail biter.) I tell them "it's actually pretty simple. But you have to stick with it!" I decided to do a post on it, because it seems like a lot of people struggle with the same thing. Like I said, I was a picker. I can't leave anything alone. Peeling paint, stray hairs stuck to strangers sweaters, hangnails...if I see it I have to pick at it. It's a compulsion, almost. I'm a fidgety person anyway, and I think fidgets tend to be pickers as well. I was also a nail biter for years. I finally decided about 15 years ago that it was enough. I didn't want to hide my hands in shirt sleeves or pockets anymore. I decided to conquer my hands. 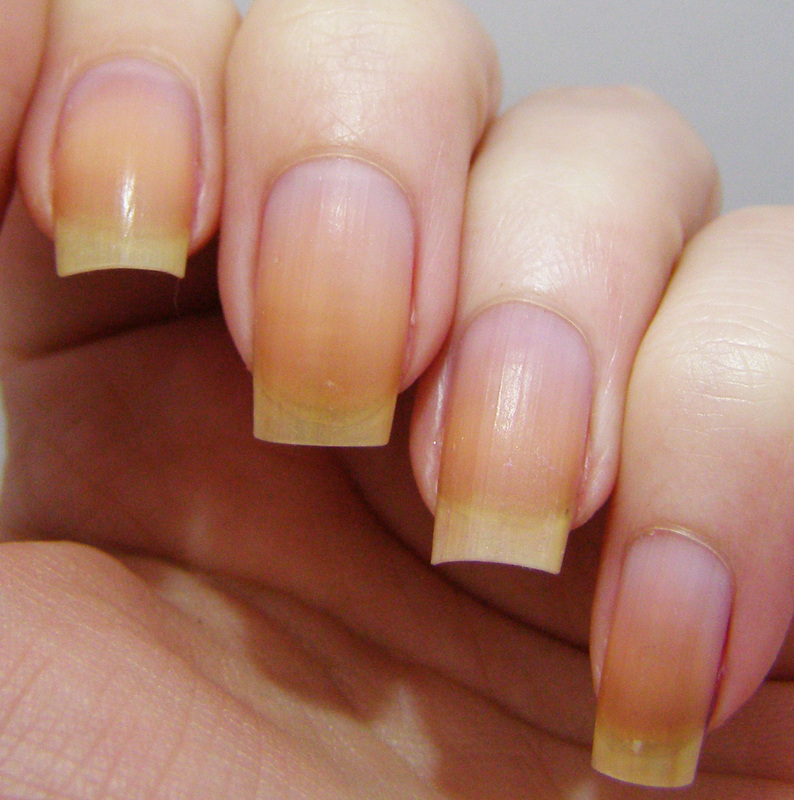 If you have super dry, cracking skin: try lanolin. It's made from wool and is the best stuff ever. It's also great for nursing mothers! I started by buying a pair of cuticle nippers, neosporin, band aids, and some good hand lotion. I do not recommend cutting your cuticles, but I do recommend getting a pair of nippers for hangnails. Cut them off as close to the skin as you can, and as soon as you see them. Don't give yourself a chance to pick and pull. Then slather any raw, torn skin with neosporin and cover it with a band aid over night. (For the especially bad spots, keep them covered during the day too to prevent further irritation.) Keep your hands as clean as can be, and apply a good lotion (I prefer one with vitamin E) after every hand washing. Within a month, your hands will look a whole lot better. cuticles. Plus dry, dull skin. Once your cuticles have healed, you can start training them. Yup, I said training. Start by removing the cuticle with the instant removing gel, which I went over in a previous post. You might see a bit of cuticle flapping around, and that's OK. DON'T CUT IT. Just moisturize with oil and let it be. 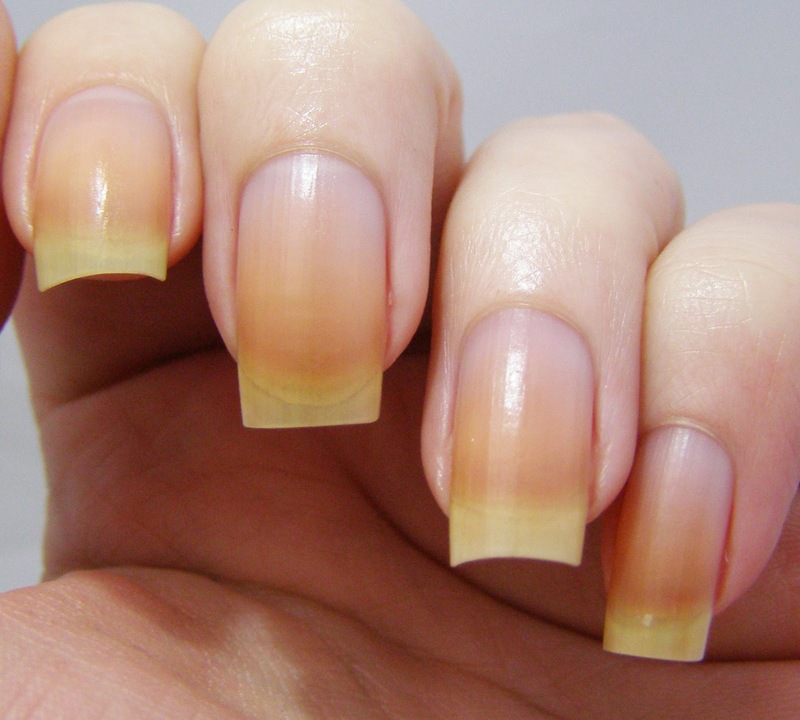 Over the next few weeks, while you are showering, push your cuticles back gently with your fingernail. I cannot stress enough how gentle you should be. If it hurts at all, stop what you are doing immediately. It should never hurt. The hot water softens your cuticles and makes them easy to manipulate. I generally use the gel once every other week, and the shower method every other day (when I remember). If you have time, rub a tiny bit of oil into your cuticles post-shower. If not, then just lotion up and be on your way. While you are out and about, you can use lip balms on your cuticles if they feel or look dry. It takes a little work, but in about a month, your cuticles should be in line for the most part. 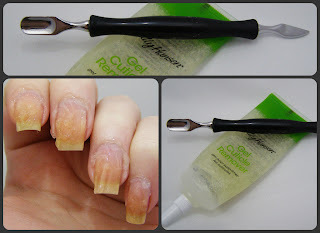 slather your whole nail in the gel. Just like the rest of your body, your hands need exfoliating and moisture. I like to make a simple sugar scrub for my hands. It's quick, cheap, and easy. My recipe is: spoonful of sugar, palmful of oil. I use olive or jojoba...though I'm not particular. You can also use brown sugar if you have it, but for some reason we generally don't. I just rub it into my hands and nails until most of the sugar is gone, then rinse and pat dry. It makes my hands super soft and it costs pennies. 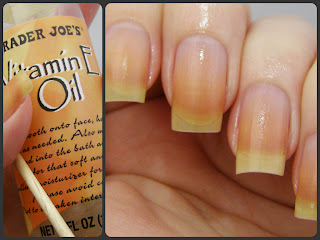 For lotions, I feel like I need one with vitamin E. When I switched to a different one, my nails really suffered. But I suggest testing out a bunch. Some lotions feel great the first day, but over time end up not being right for you. (Like the lovely shea butter hand cream. My skin felt nice, but my nails were sad. Back to the old standby.) Try to look for lotions that have very little fragrance. If you are going to be reapplying multiple times a day, you don't want something that will conflict with other scents. I also suggest keeping lotion with you at all times. I keep one tube by my bedside, one in my purse, and a lotion dispenser by the kitchen sink. Availability is key. If it's within arms reach, you are more likely to use it. olive oil + sugar scrub. Moisturizes and exfoliates! 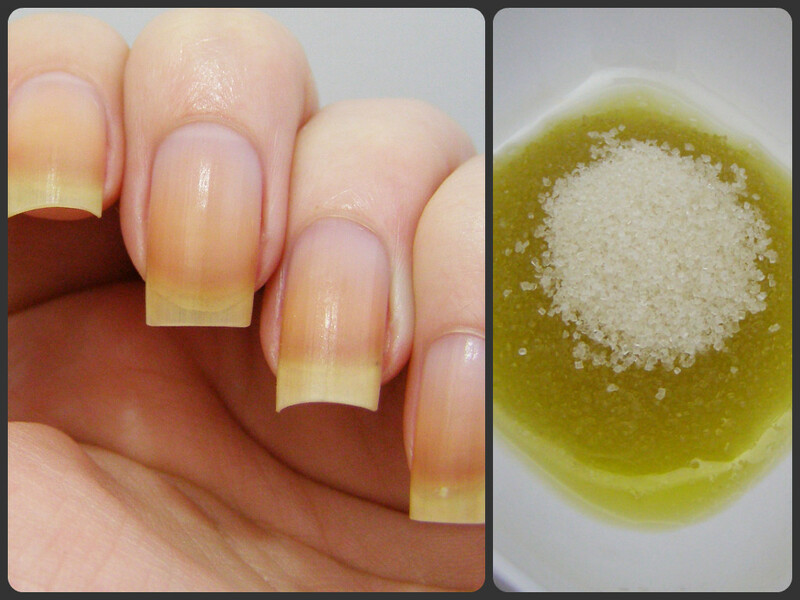 cuticle oil with vitamin E.
my finished product. All scrubbed, lotioned, and oiled. I really hope this has been helpful to someone out there. When you have problem hands, it feels like everyone is staring at them...though honestly I don't know if other folks really notice. It may seem like a lot of work, but it quickly becomes habit. If you have any tips or tricks that you think are also helpful, please leave them in the comments below! This is exactly the type of post I have been waiting for. I can't read it right this second, but I will be reading it after work. My cuticles are horrid. I agree with everything you said; this is a great post! Bravo, Nichole! thanks :D I'm kind-of a nerd about stuff like this. Hopefully, it'll help someone so they don't have to go through the years or trial and error like I did. Yaaaay. Great post, and I've actually got a bottle of that vitamin e oil that I couldn't figure out a use for, and now I actually know what to do with it. :D I bought that stuff for a different purpose, but it ended up being perfect. Very interested in this lanolin business. Is it an oil? Or is it more similar to the texture of petroleum jelly? Do you use it like a lotion all over your hands or just on your cuticles? Your hands are so beautifully maintained! Okay, I am getting three bottles of lotion once I find one I like. Just put a little bit of bleach (yes, regular household Clorox) in a small coffee cup, heat up in micro oven for a 20-30 seconds. You want it hot but not boiling hot. Think hot like tea or coffee. Then, just dip your bare fingers in it and keep nails in bleach for a minute or two. The warmer the bleach is, the quicker it will bleach your yellow stains off. You can alternate hands back and forth, if it feels too hot, but the bleach will quickly cool off. After a minute or so, just rinse your hands in soap and water. Done. This is BY FAR the easiest and quickest way to get sparkling nails again, after using dark polish. Gets rid of any nasty stains and costs very little. No fancy products needed! I'm a former model and I have done it for years, and my digits always look great, I don't even have to use polish. Clean, clean, clean! I recommend doing the nail bleach bath before bedtime because, just like laundry, your nails will reek of bleach even after rinsing them, until you wash them again, or take your morning shower! Just what I needed after anxiety has brought havoc to my cuticles!!! Thank you! !